The tale I am about to tell you is one of absolute horror, of completely unthinkable cruelty. "Is the trap set, Stevens?" "How long must we wait?" "Won' be long now, cap'n. 'N keep your voice down, don' want to scare the lit'l blighter off." "You are certain this is the last of them?" "Yes sir, quite certain. 'Been trackin' him for days. He's all that's left." Suddenly they saw the poor creature up ahead in the clearing. "Ok, keep quiet now, here he comes!" Stevens urged. The beast approached swiftly, yet with caution all the same; nothing was more suspicious than food left so easily in the open. At the same time, nothing was so readily accepted. He crept closer and closer still. Now the prize was almost within reach. "Shoot him, Stevens! Don't let him get away!" The beast stopped. Had it heard something? Stevens wasn't sure, but he couldn't let this moment pass. 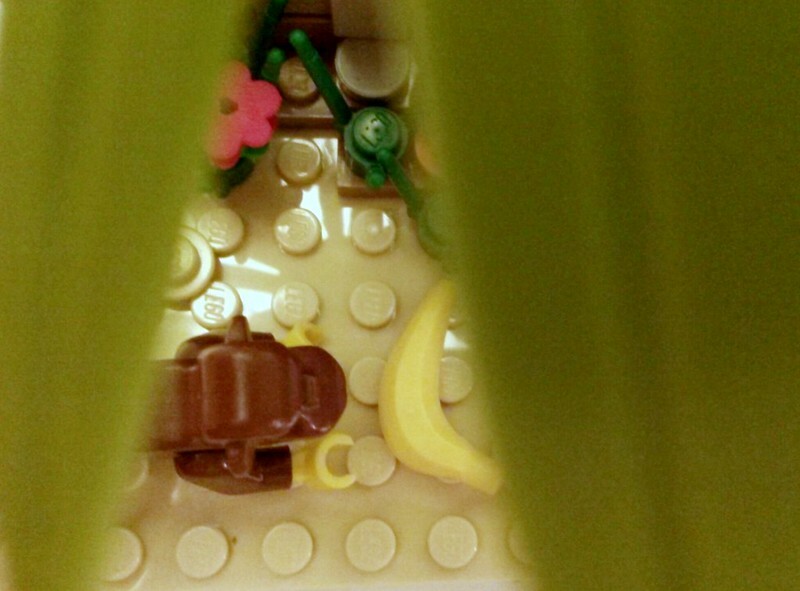 He sprang from the underbrush, pistol in hand, the captain close behind. A single report rang out from the barrel, a single report to let him know he had hit his mark. "Thank you, sir. It was my utmost pleasure." "Well now the real cruelty can begin. Gabby? Gabby!" Gabriel came up from behind, lugging a heavy cage through the tall grass. "Here, sir! I heard the shot and must say, I never thought me eyes would see this marvelously horrible day!" "Yes, that's enough now Gabby. The time has come!" And with that, Gabby unlocked the cage and set free upon the world some of the most vile creatures imaginable, with the earth never more to see the sweet innocent race the captain had just wiped from its face. 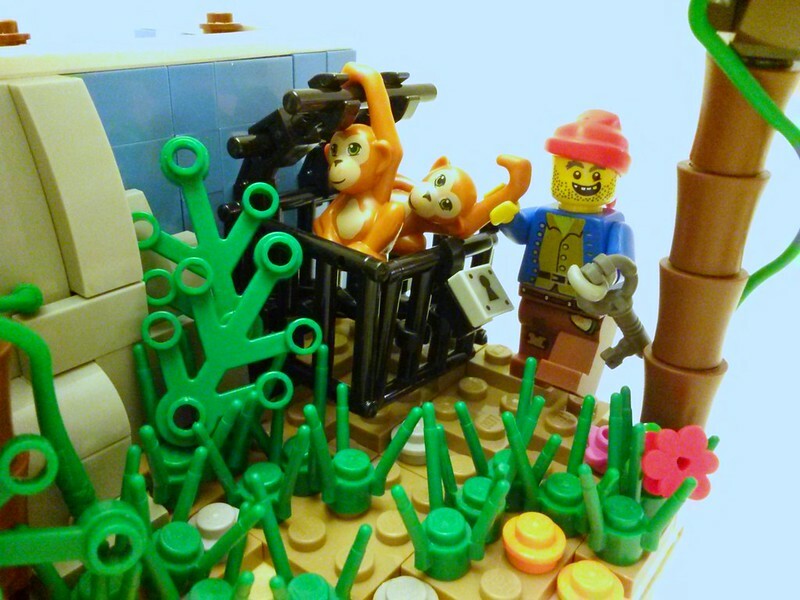 And that, children, is why you never get monkeys in your LEGO© sets anymore. There is some overhang from the palm tree nearest the corner. Plenty more pictures on my Flickr album! Great story ! 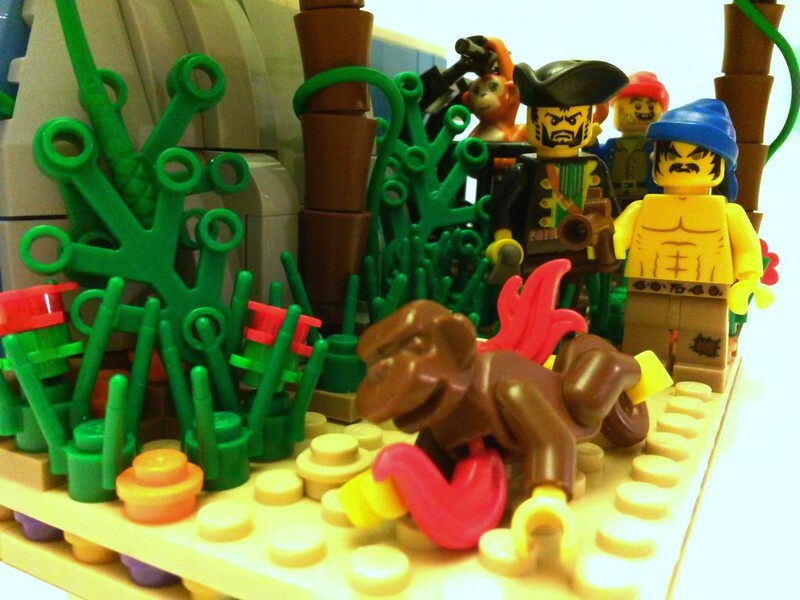 Good explaination of the lack of monkeys in the recent Pirates sets, haha ! And good build ! good job ! What a neat idea and build! 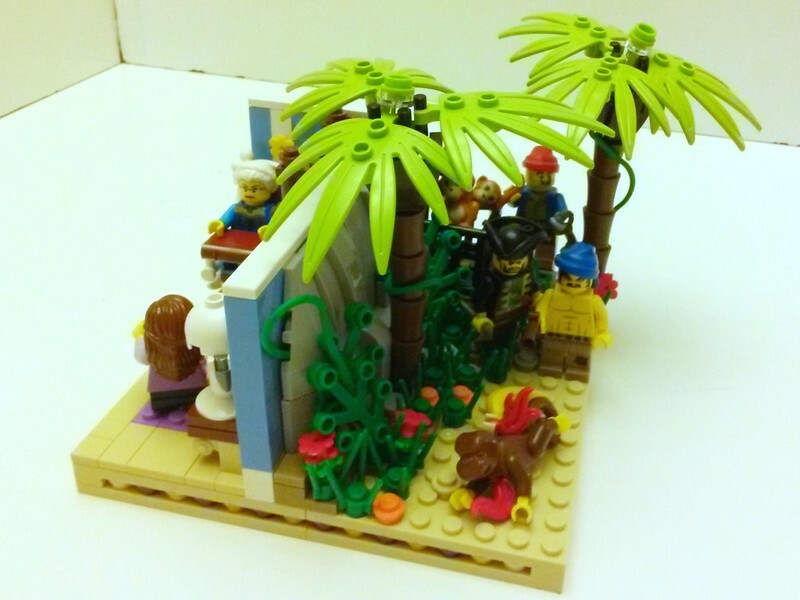 I love the story, and how they both fit into a small build perfectly! Very neat! The last of the Monkeycans!!! Was Granny an eyewitness? This clever creation makes excellent use of the available space. It's funny and sad all at the same time. 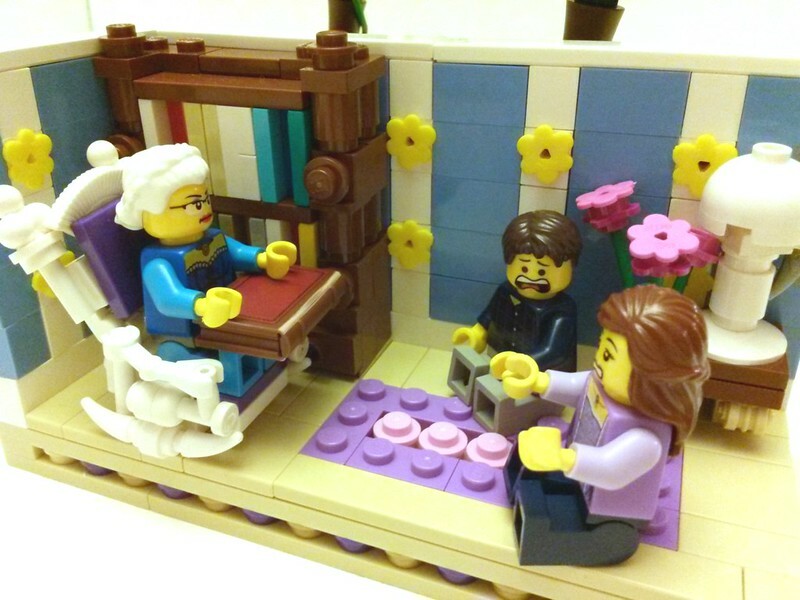 The story room looks nice and the rocking chair is magnificent. 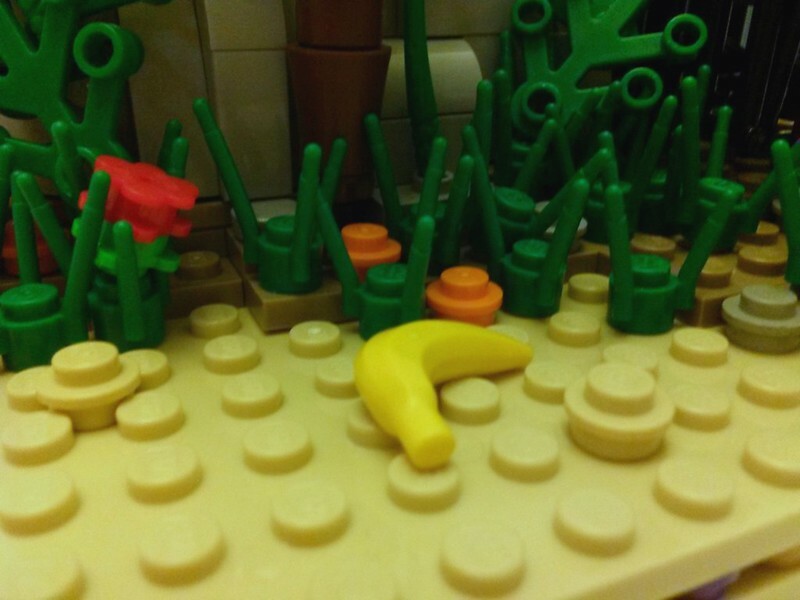 I await the day when the classic monkey returns. Good work.